Greetings Fellow Travel Writers and Bloggers!
. . . and WELCOME to all new subscribers! Thanks for joining us. 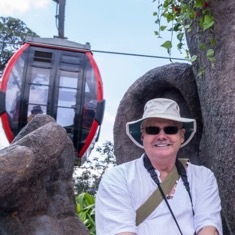 Those of you who have studied my eBooks and newsletters understand that there is far more to travel writing success than just doing one task well. Getting your stories published, and getting paid for your work, is really due to getting a combination of things right. One of these techniques has always seemed like common sense to me. But when I talk shop with my travel writing peers, it appears that they overlook this most obvious thing. One of my most potent travel writing techniques is I thoroughly research my destinations before I pitch my stories. I've pre-sold hundreds of articles before I travel to my destinations by researching the places in advance of the trip. I sell stories about the attractions at my planned destinations months before I travel. Yes, you read that right: I pitch and get assignments before I actually visit the place. This practice has added up to tens of thousands of dollars’ worth of assignments and associated complimentary travel. Travel writers aren’t paid much for articles. And it’s important to work the complimentary travel angle if you want to make money from your travel writing. I’ll often spend a couple of hours or more researching attractions and potential story topics before I compose my query letters. Where do you do your research? You can use the Internet and guidebooks to research your topics. I also use my local bookstore and library to gather information. And remember: what you find on the web is not always accurate. Be sure to check your data from a couple of reputable sources before you accept it as valid. Doing preliminary research significantly boosts the chances of selling your story. 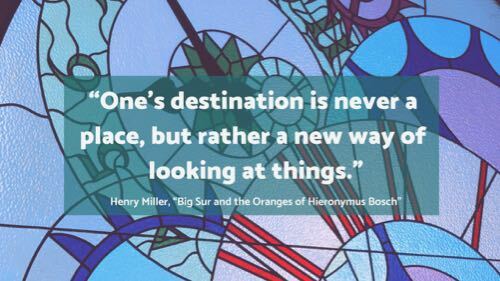 Look for little known, highly interesting information, and hard-to-find statistics about the place you’re planning to visit. Then use these juicy facts in your query letter. It shows the editor you know what you’re talking about and builds your credibility. It tells the editor you can write a good story for her readers. Researching your topic also pays off later when you write your story. You’ll already have your rough notes and a few paragraphs of your story written. It just becomes a matter of seamlessly integrating the information into your story. Many of my shorter articles, and front-of-book pieces have been written almost entirely from my query letters and preliminary research. Researching your destinations positions you as an expert on the topic and that you’re qualified to write the piece. It can make or break your pitch. Join us in Seattle on April 25-27, 2019, and launch your freelance travel writing career. • If you’re looking for a workshop where you will get ALL your questions answered - from pitching and selling your travel articles to requesting comps, this workshop is for you. • If you want to leap past all the beginner writer’s mistakes with query letters, editors, and the myriad other hurdles that crop up in freelance travel writing, this workshop is for you. • This is not your everyday, run-of-the-mill travel-writing workshop that focuses on the craft of travel writing. Those travel writing workshops overlook one huge detail: if you can’t sell your articles, you don’t get to write them! • This isn’t a workshop for dreamers - it’s for people who want to get out there and do it. It’s for writers who are dedicated to selling their travel stories in 2019. • Please note - workshop size is limited to 25 people. If you enjoy learning in a small, supportive atmosphere, this workshop is for you. You may wonder how writing about vehicles relates to travel writing, so here’s my rationale. There’s more than a tangential relationship between travel writing and vehicles. Travel, writing and vehicles intersect in a variety of ways. We use vehicles to get to tourist destinations. We drive RVs, SUVs, off-road vehicles and dune buggies on vacation. Tourist offices classify museums as bona fide tourist attractions, and museums house a wide variety of historic vehicles. Vehicles of all sorts are an integral part of travel. No matter where I travel, I take some time to visit the local bookstores. And I always examine the magazines on the racks. One magazine genre I consistently see everywhere is automobile and vehicle magazines. Somebody’s got to write articles for all these magazines! 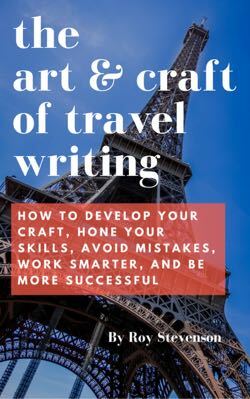 This book will help you hone your travel writing skills and get more stories published. The Art & Craft of Travel Writing includes five sections . . . Here are a few of the chapters you'll find . . .
We want to say THANK YOU to all our subscribers and social media followers. Running the PitchTravelWrite site would not be possible without your support. Thank you for following us, reading our posts, and emailing questions, comments, and compliments. We value you more than you can know. Our goal is to help you break into travel writing, get paid for it, and land some cool press trips and free travel. So keep emailing us - we love hearing from you! • and plenty of other useful information to get you up to speed. Until next week, just keep pitching!